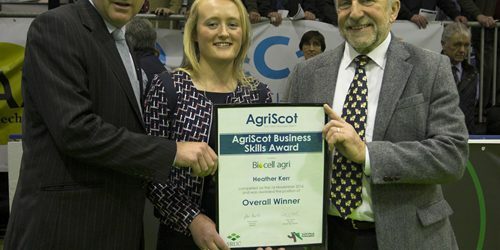 Four finalists have been announced for the AgriScot Business Skills Competition sponsored by Biocell agri and supported by SAYFC and SRUC. The competition, which aims to assess general business skills and awareness of topical agricultural issues, was open to anyone aged 18-25. From responses received, competitors were then whittled down to a shortlist and invited to compete in an on-farm semi-final held on Saturday October 30th. Each semi-final produced 2 finalists, who will now go on to compete at AgriScot for the coveted tittle, and £1000 prize. Lyndsey Allen – from a family farm in Dungannon, Northern Ireland. Lyndsey is currently in her final year of the BSc Agriculture course at SRUC Ayr and her goal on graduating is to become a ruminant nutritionist. Andrew McGregor – a dairy farmer from Carluke. 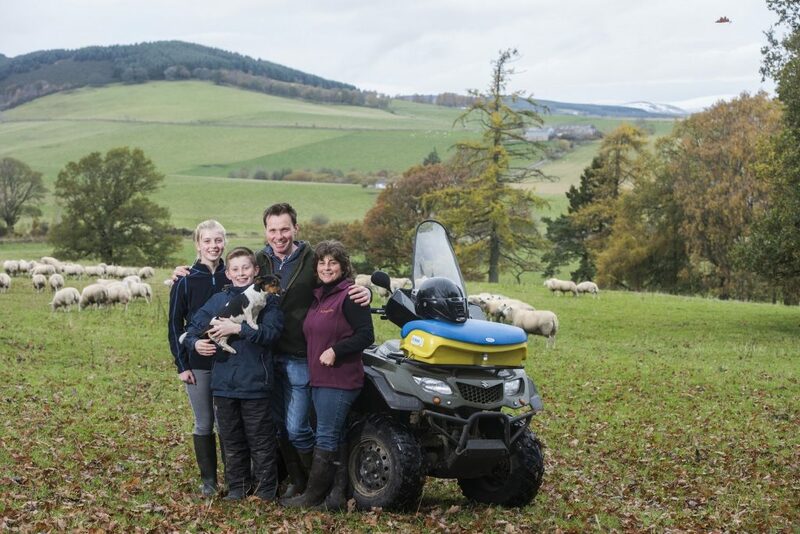 Andrew is an agriculture graduate from SRUC Edinburgh who after College worked on farms in New Zealand before returning home to the family farm during which time he has participated in the Tesco Future Farmer Foundation. Andrew is very active within the SAYFC and is the current holder of their “Member of the Year” award. Kerry Cartwright – an agricultural student from Invergordon. Kerry is in her 3rd year of the BSc Agriculture course at SRUC Aberdeen and combines this with duties as the Campus Officer for the Student Association. Sarah Mowat – a farm administrator for John Scott, Fearn Farm, Ross-shire. Sarah originally from Orkney is an Honours graduate from the Rural Business Management course at SRUC Aberdeen. Sarah is very active for the SAYFC currently holding both secretary and treasurer positions within the organisation. The North semi-final was held at Peter Robertson’s Ednie Farm, St. Fergus, Aberdeenshire with Jane Mitchell (ANM director) judging. 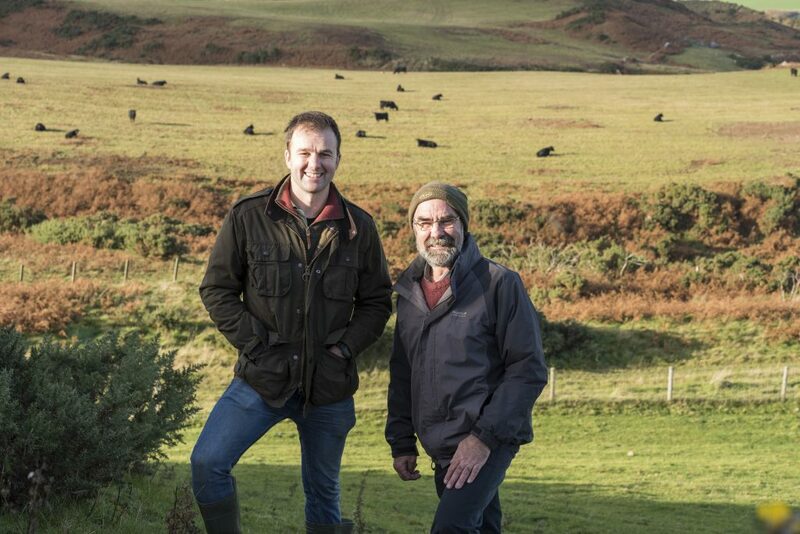 The South semi-final was held at Malcolm Stewart’s Brotherstone Farm, Melrose, Roxburghshire with Derek Hall (recently retired Royal Bank of Scotland Agriculture manager) judging. The final phase of the competition will be held at AgriScot on November 15th – the finalists will evaluate a new product being launched at the event and will make a presentation on their assessment to a judging panel who will also ask them a range of questions on business skills, topical agricultural issues and assess how they are developing their CV. The judging panel will be chaired by James Buchanan (SAC Consulting) who will be joined by Ian Hope (Galbraiths) and John Kinnaird (Agriscot).